From Nba.com: Warrior. That is the one-word description often applied to Patrick Ewing. He was indefatigable and relentless in pursuit of an NBA championship despite being denied on an annual basis. Bold predictions did not always materialize and some took them as empty promises, while others as a will to succeed. One of the finest shooting centers to play, he left the game as the New York Knicks’ all-time leader in nearly every significant category and the game’s 13th all-time scorer with 24,815 points. He arrived in New York after a ballyhooed college career with the Georgetown Hoyas that included one NCAA title and appearances in two other championship games. The team’s fierce in-your-face style of basketball created a phenomenon known as “Hoya Paranoia” and as the key intimidating defensive presence, Ewing was tagged the “Hoya Destroya.” A media star since his schoolboy days, his anticipated arrival to the NBA was unprecedented. Never achieving the Holy Grail of the NBA, Ewing came painfully close. 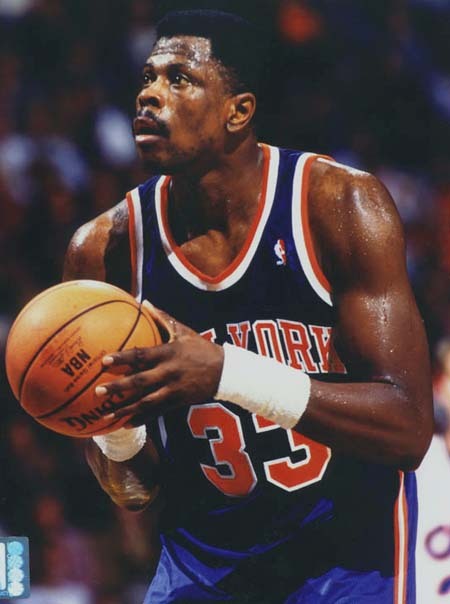 He led the Knicks all the way to the NBA Finals in 1994 but lost to the Hakeem Olajuwon-led Houston Rockets in seven games, which avenged a loss by Olajuwon’s Houston Cougars to Georgetown in the 1984 NCAA championship game. 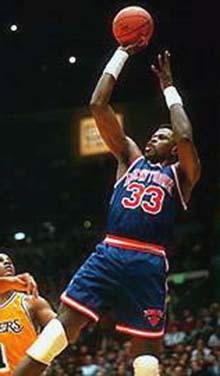 Nonetheless, Ewing’s career highlights and production are impressive. They include averages of 21 points and 9.8 rebounds per game, 11 All-Star berths, an All-NBA First Team bid and six Second Team selections. He was the NBA Rookie of the Year in 1986, was named one of the 50 Greatest Players in NBA History and played on two gold medal-winning Olympic basketball teams, in 1984 and 1992.